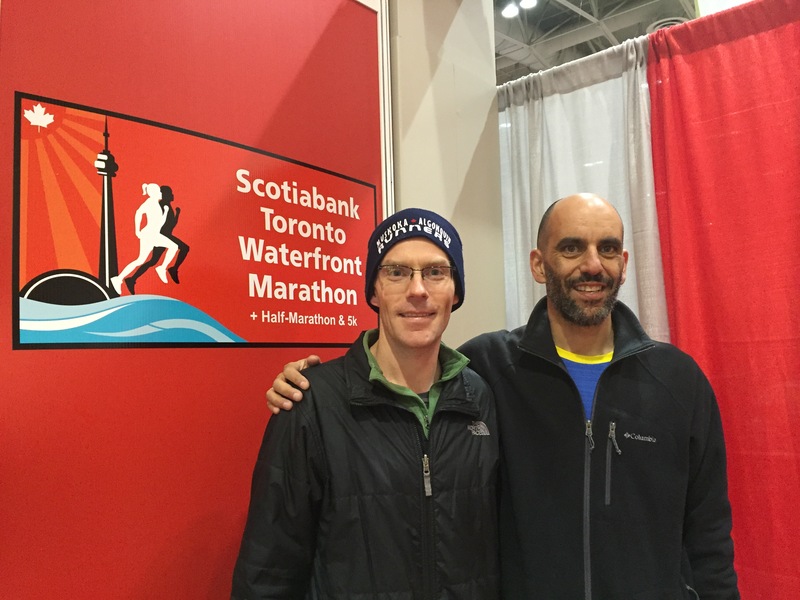 A big contingent of Muskoka Runners headed to Toronto this weekend to race at the Toronto Waterfront Marathon and Half Marathon, including several of our club’s runners. Over 10,000 runners completed the half marathon distance. Big Troy Cox led the way defying father time with a spectacular 1:14:46 in the half marathon. 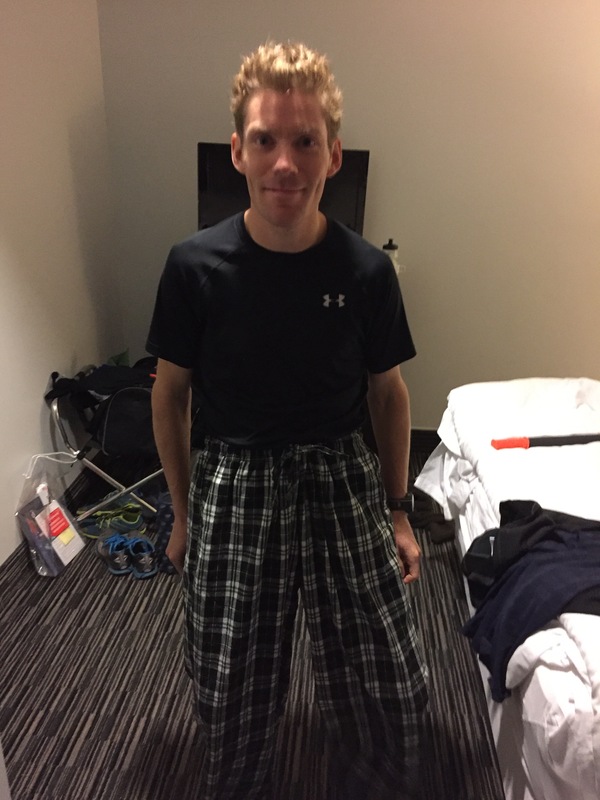 He was second overall in the Masters Category, 19th overall finisher and 1st place in the men’s 45-49 category. Chris “l’il Troy” Watson was the next MARS runners, 50th overall in 1:18:40. He was 48 out of 4669 men and 6/672 in the men’s 40-44 age group. Mark Sinnige was 96th overall in 1:22:24, 89/4669 men and 7/525 in the men’s 45-49 age group. Pierre Mikhail was 145th overall in 1:24:56, 131/4669 men and 12/525 in the men’s 45-49 age group. Melissa Kosowan was the first MARS female in 1:33:37. She was 435th overall, 75/5558 women and 17/903 in her age group. Also competing were Justine Brown and Kelly Millson. Congratulations to all MARS runners and Muskokans who competed today. 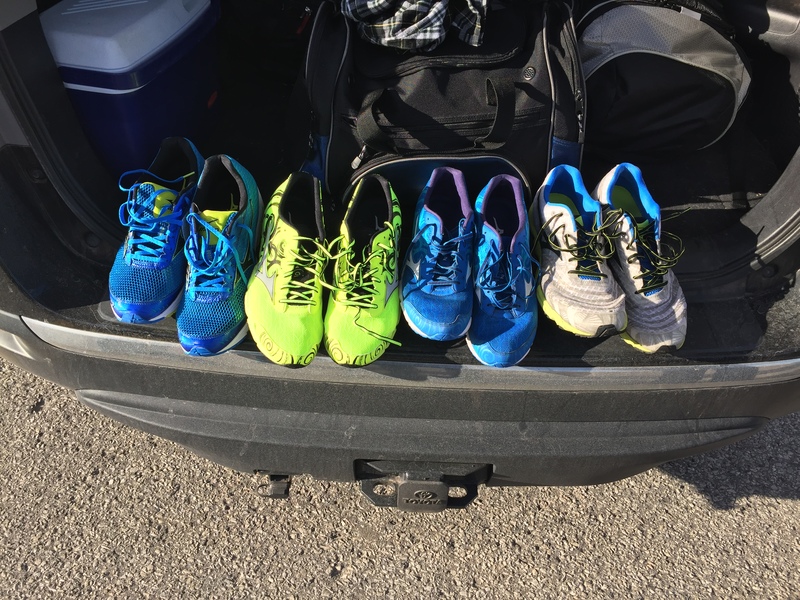 Troy, Chris, Mark, Pierre and Melissa are currently representing MARS in the Ontario Masters XC Series. You should too! Workouts continue this week on MARS for Masters runners (age 30 or over). Workouts are Tuesdays and Thursdays at 6:15 am from Conroy Track (bring a headlamp), and Sunday mornings at 7:30 am (check TeamSnap calendar for location). The Huntsville Hoyas XC Team is in its final two week push. 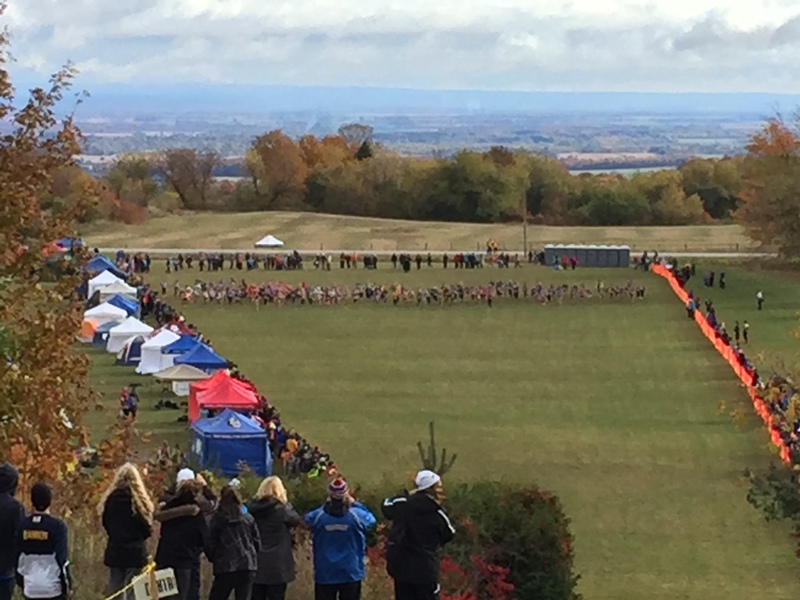 There were several great results Friday at the Pre-OFSAA race. Huntsville’s team results put 5 of Huntsville’s six teams (our 6th team is too small to count in the team scores) in the running for a place at the Ontario Championships (OFSAA) November 7. Their big qualifying race (GBSAA Championships) is October 29 at Duntroon. The Hoyas have one more race before this, Thursday at Wasaga Beach race. Good luck to the Hoyas! This year OFSAA is in our region at Duntroon so it will be extra special for our runners if they qualify. The Duntroon course, unlike most OFSAA courses run on golf courses and in parks, is classic cross country, with hills and mud! See you on the roads and trails…..
MARs Conquers PEI and XC!